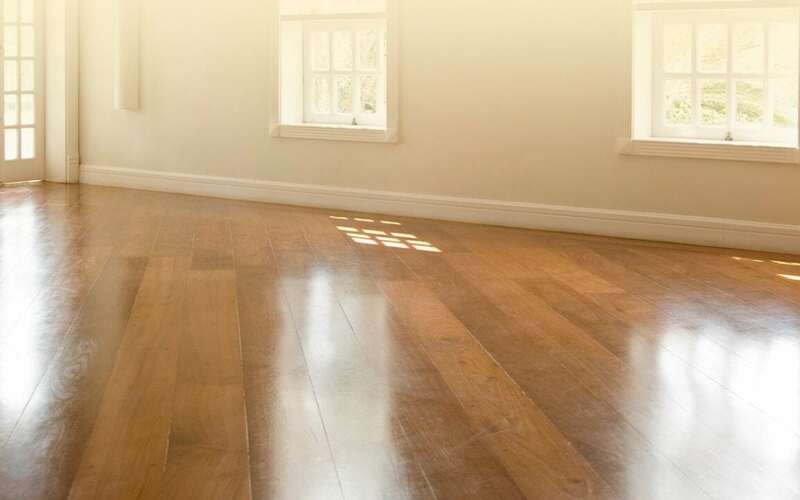 If you have an aging hardwood floor, hardwood floor refinishing in Evanston can be a great way to revitalize your floor and get an additional 10-15 years out of it! Before hiring flooring contractors in Evanston, IL, take the time to fully understand the process of hardwood refinishing with our handy guide. The first step in hardwood refinishing is testing the adhesive properties of your current floor. Sometimes, old flooring can develop cracks or wrinkles which will prevent a new finish from sticking the way it’s supposed to. That’s why our flooring contractors in Evanston will test first to make sure everything’s good to go. Hardwood floor refinishing in Evanston requires a number of tools and products, all of which need to budgeted accurately. These prices will of course be included in our estimate, but the tools we’re using are liquid floor cleaner, scouring pads, bristle brushes, finish applicators, respirators, mineral spirits, and a buffer. Before applying a new finish, we’ll clean your floor so the refinishing goes smoothly. We’ll use sanding screens and scouring pads to remove debris and clean up particularly rough patches. Once the floor is mostly clean, our flooring contractors in Evanston will give special attention to problem areas like gashes. We use cutting-edge buffers in this stage of our hardwood floor refinishing in Evanston to make sure your old flooring is perfectly smooth. It’s vital that we create a dust-free environment for this process, so we’ll clean the room thoroughly and make sure it’s properly ventilated throughout. The final step of any hardwood floor installation in Evanston is the finishing. This is where we’ll add the protective coating and truly bring your flooring to life! For all your hardwood flooring needs, call TED. We offer services to most of the greater Chicago area, including hardwood floor refinishing in Glenview, IL.